The CS8304 Cold Chain Temperature Logging Tag provides 10K samples of logging memory for saving of temperature data throughout a trip. It is designed for the harshest, coldest and most demanding cold chain applications. 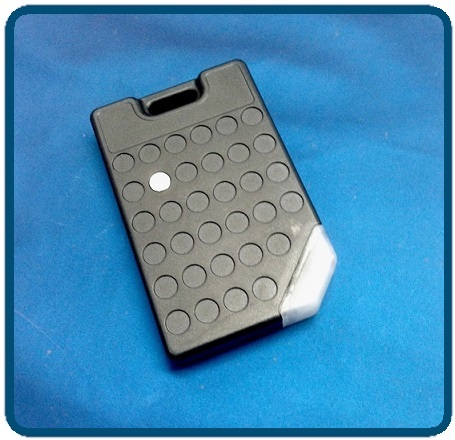 The tag is fully enclosed by a plastic case to meet IP67 standards. LED light indicates temperature violations . The tag speeds up the process of temperature monitoring in cold storage rooms, mobile overseas containers, and truck trailers. CSL’s Battery Powered Passive (BAP) technology holds up against products with high water content (which traditionally is a killer for passive tag), low temperatures, and orientation issues. Moreover, the CS8304 tag is fully EPC Class 3 Gen 2 compliant and can be read by any Gen 2 compliant reader. Cold Chain temperature monitoring for the most demanding cold chain applications. Temperature Logging Solution: 10K samples. Consistent and reliable read performance when being placed on products with high water content under low temperature. Programmable temperature thresholds and sampling rates, ranging from -20C to 60°C at 0.25°C resolution. Compliant with EPC Gen 2 readers and can be used for product identification.